Daves points are spot on as usual,the Blaupunkt Frankfurt's seem to be a common one that popped up in my research,seems the USA cars had the mono and the euro models had the stereo version,that was rated @ 10watts total or 5watts RMS/channel and very much sort after by many ,the mono version less of course,this isn't the rule and I guess its about what box the US customer ticked before purchase. As the prices of these in good condition is starting to hit the roof its a good time to buy now,have seen control knobs and front face plates reaching big prices also. There is a guy on ebayUK that has them fully restored (@ a price? search vintage blaupunkt) and he has the covertor cables to run a remote amp or ipod,think an theres old style din plug in the back so you can go to RCA's easy,someone could correct me here?. 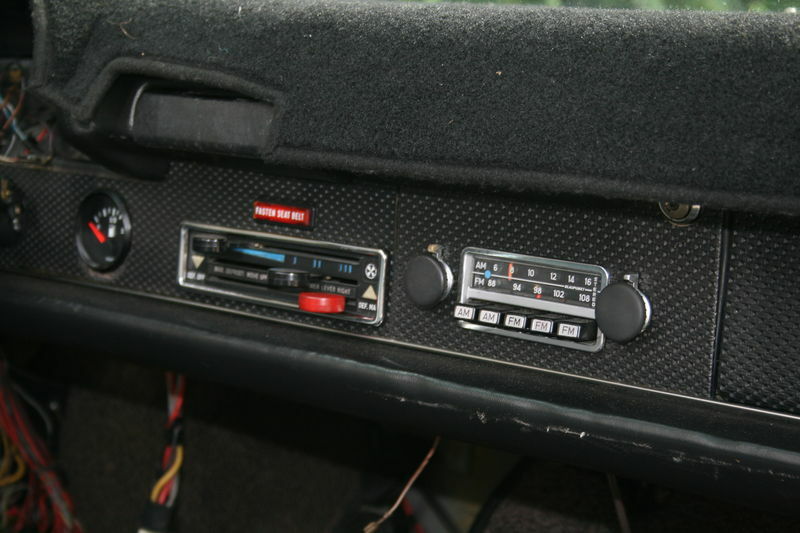 My car has a frankfurt and they are a very cool period piece,with ipod integration and /or a remote amp you good have a reasonable sound in that wee space. Will search further as have other info in my faithfull OLD HP laptop recently retired but still going. Last edited by porschetub; 08-14-2014 at 07:55 PM..